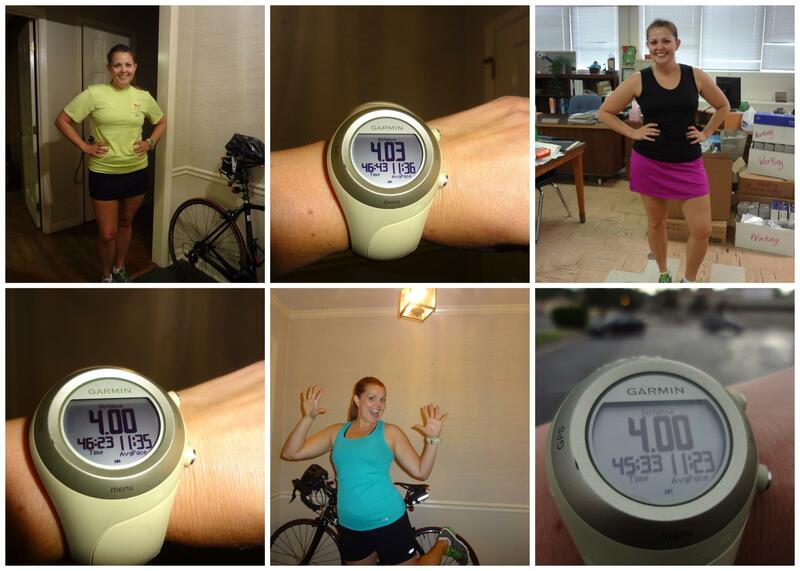 Several members of the Woo Hoo Crew made it through yet another Virtual 12athon Challenge month! Keep on reading to see how Daniel, Melanie J, Katie, Melanie W, & Nathan knocked out those 12 miles and which crazy bonus point challenges they subjected themselves to. June 12athon finished in the books. Only 8 miles today so I got my base points of 12 points plus 12 points for the Rosie Ruiz challenge which involves running somewhere, then catching a ride back, and finishing with at least a mile. I got up and ran 5 miles to work, then worked for 9 hours helping people buy different running related items before catching a ride back to my house with a co-worker. 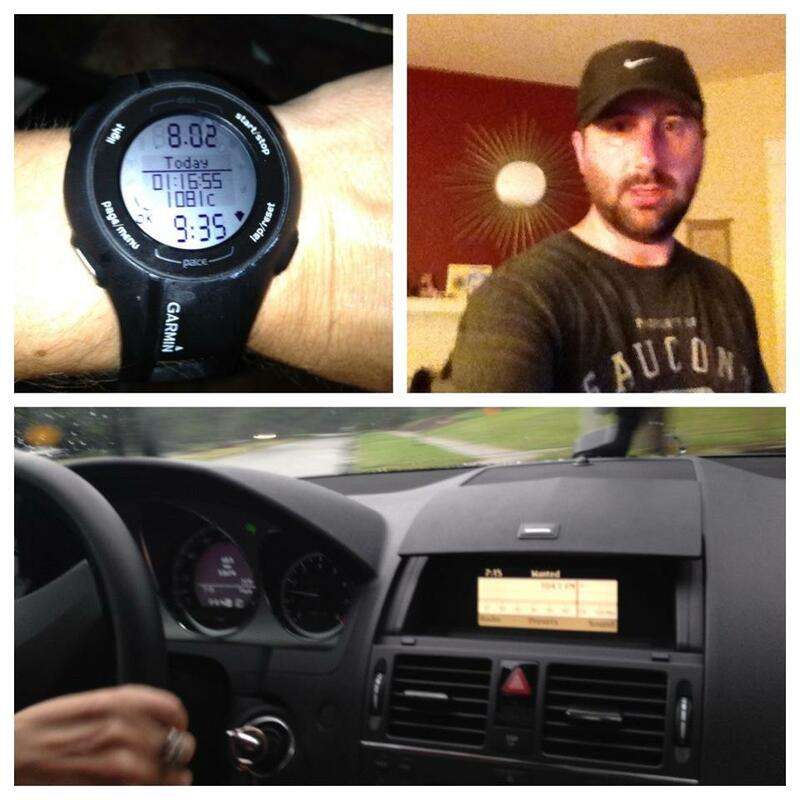 I then braved the thunder and lightning to run another 3 miles to meet my goal for the day. Both runs I ended up wet because of the weather, but feel pretty good considering I’ve spent the majority of the day on my feet. Here’s to another great day in 12athon land! June 12th was one VERY long day! At my job, we’ve started our summer hours, which means 7 AM – 6 PM Monday-Thursday. 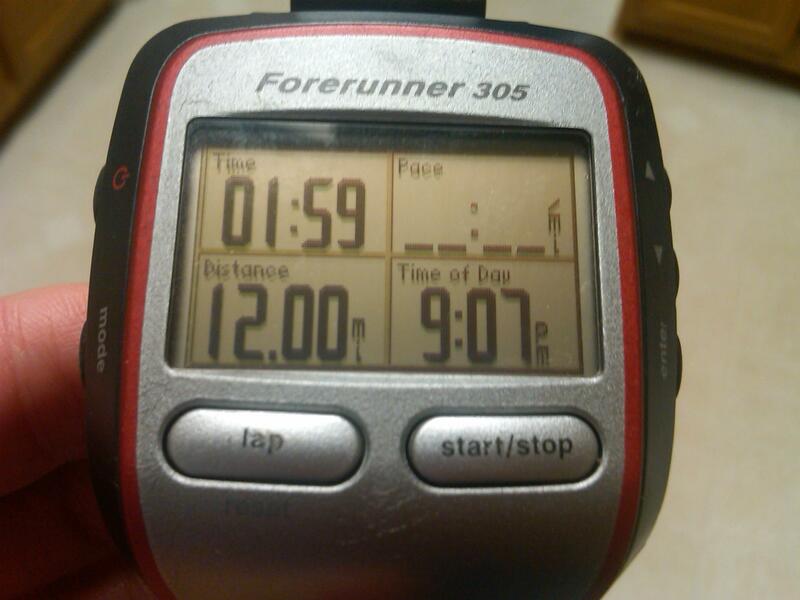 That also meant that I had to get creative with today’s 12-miler unless I wanted to be running for-e-ver. After reading and rereading the challenges, I finally settled on the 3 square runs a day challenge. I had an hour of comp time from work I was able to combine with my regular lunch break, so that gave me enough time for 4 miles (and a much-needed shower.) I should note that I could only choose two because Nathan and I complete Hoofin’ and Woofin’ earlier this month. To say today was humid would be putting it mildly. When I got up and struck out before 5 AM, the air was already as thick as a damp sponge. Up until that point, I wasn’t sure which additional challenge I would be adding on. However, considering that I’ve been fighting a sinus infection and my asthma always misbehaves when it is so humid, I decided that Gallowaying was the best choice I could make. I made it through my first 4 miler, and got to see Nathan as he set off (considerably later) for the first part of his bi-curious challenge on his bike. Of course, the rain didn’t start until I was pulling away from the house for work and Nathan was coming into the driveway (back from the second half of his journey). After a few hours of work, I headed home for my 2nd run of the day. Nathan got home for lunch just before I left, so he was able to see me off. I took a slightly different route on this run. I’ve decided that Kemp Road is uphill no matter how you take it. UGH! At any rate, I made it through the run and though I felt considerably slower, my Garmin time was about 20 seconds faster. WOOHOO!!! After cooling down for a while, showering, and cooling down again, I headed back to work to finish up my 10 hour day. Earlier in the day, I had decided I didn’t want to run from home again, so I took my gym bag with me so I could run from the office. I’m pretty sure my co-workers think I’m crazy when I talk about this 12athon nonsense, so I decided to get them involved and had one take my final picture of the day for me. As I walked out of the office building, I realized I hadn’t mapped a loop. Typical. I didn’t want to take the extra time to go inside to make a route and I didn’t want to do another out and back, so I decided to take my chances and guess at a loop as I went. From my building on Washington Street, I headed down to Spring Garden, through UNCG and turned right on Chapman. I kind of meandered through the neighborhood a bit between Walker and Market, and then turned right on Market to head back into downtown. Somehow, I hit 4 miles just as I ran up to my car. Oh, did I mention that it poured rain on this run for about 15-20 minutes? It actually made for a much better run. So, June 12th is behind me, and I’m already looking forward to starting quarter 3 on Saturday! June 12athon is finished and I’m glad! This was a long one for me. I started at 6am with the Slacker, Sisyphus, and Diabolic Dozen challenges. The heat and the humidity started taking its toll on me around mile 10 and I was completely spent by the time mile 12 finished. I ran one mile with my lovely daughter and tweeted each hour with updates about my run. Like childbirth, I need a little time for this Slacker to wear off and I forget the pain of running 1 mile an hour for 12 hours. I honestly think it might be easier to run a marathon than do that challenge. Well, if you’ve made it this far down in the post, congratulations! Must mean you really like me. As you might have read yesterday, Katie and I did the Hoofin’ & Woofin’ challenge for the 12athon, by taking dogs from the Guilford County Animal Shelter for 12 miles of walking/running.frolicking in the weeks leading up to today. That left two bonus challenges, so I chose Bi-Curious (biked 6 miles & ran 6 miles) and the RUI Double Fister (consumed 2 small water bottles filled with Gatorade G2 and a shot of vodka in each). A little rough knocking this all out before I went to work this morning, but the alcohol surprisingly didn’t affect me too much (as you’ll see in the video). Oh…and Katie bested me by 1.5 measly points to win the 2nd quarter of the 12athon. Congrats! This month, Nathan and I decided to take on a little something extra to go with our usual 12athon insanity. We started talking about the idea right after we finished our Tour de Slacker on May 12th. Actually, on 2nd thought, we may have actually discussed it that day, but being in the slacker delirium, I can’t remember for certain when the seed of the idea was planted. We decided it was time to give something back. So, we thought the Hoofin’ and Woofin’ challenge was the perfect opportunity to do something good (and to score mucho points). We immediately began our research and found out about a relatively new program at the Guilford County Animal Shelter. The Running Start Pawgram allows runners and other folks who are up for it an opportunity each morning to walk some of the more active dogs from the shelter. You have to call the shelter to arrange it in advance, but the experience is well worth it! All they ask is that you pick up the dogs before 10:30 and have them back at least 15 minutes before the shelter opens. Nathan and I also suggest that you pick up your own collar (medium or large) and a leash. We didn’t and ended up with sore hands from the short, braided leads the shelter puts on the dogs. We also recommend taking the dogs down to Gibson Park on Wendover. If you drive all the way to the end of the street that runs into Gibson Park, you can get right on the Bicentennial Greenway. From there, you can go north-ish until it hits Gallimore Dairy Road (about 3 miles out) or south-ish which will take you further into Jamestown and eventually lands you at the Piedmont Environmental Center. My guess is that it is about 3.5 miles to that point, but we didn’t go that far on our adventure with the dogs. The coolest part about the trip from Gibson Park to Gallimore Dairy is that there is a little creek that runs along a good part of the path and you can take the dogs down to the rocks at several points (just make sure to bring towels!). This program is awesome! It gives some of the more active dogs in the shelter a chance to get out their ya-yas before the shelter opens to the general public. That way, the prospective adopters have the opportunity to see what the dogs would really be like if they lived in a setting that allowed a more active lifestyle, and the dogs have more of a chance to be taken home to a loving family. While we will be the first to admit that we did this for some major 12athon points, we have decided we will continue to volunteer to take dogs out. On top of that, it gives you such a great feeling when you go in to pick up the dogs and you find out that one of them has been adopted (which happened to us on our second visit). Our first trip out, we took Shasa and Roxy. They were in the same kennel, and the shelter thought it would be a good idea for us to take two dogs that knew each other. They were immediately comfortable with each other and were both well-behaved on their leashes. We weren’t sure on Shasa’s breed (maybe a lab mix), but Roxy seems to have perhaps some Border Collie and some other type of unidentifiable breed that makes her snout flatten out a bit. She is gorgeous and so sweet! On our second trip, we took out Roxy again. We also found out that Shasa had been adopted!!! We were told that the folks that adopted her really considered both dogs, but in the end settled on just one. We really hope that Roxy gets her forever home soon as well. The other dog we took out is named Caleb, who I immediately pegged as a puppy (confirmed to be 8-10 months). Caleb was pretty amazing. We was full of energy and came out of the shelter ready for serious play time! We have no doubt that Caleb is going to be a big boy; he appears to have some mastiff or rottweiler in him. But what a handsome and spunky dog! On this trip, we took the dogs down to the water and they had a blast splashing around on the rocks and in the shallows. They took a little time to warm up to each other–well, Caleb warmed right up, but Roxy (out of her puppy phase) seemed a little annoyed with him at first. But, by the time we got back to the car, they were side by side in front of us and playing well together. We loved doing this with all of these dogs (though we did feel a little like we were cheating on our Gertrude)! Please, consider taking a morning to volunteer with the Running Start Pawgram yourself. These dogs need it and it can really make a difference in their lives! The Woo Hoo Crew ran with the Devil for 6.66 miles along the Freedom Run 10K course in celebration of National Running Day (and to score points for the 12athon). This is what we call fun! Sadly, I could not get out to run with the crew this afternoon because of work so I decided to run my 6.66 miles at 5 am this morning. Felt pretty good after hill repeats last night with the WHC. 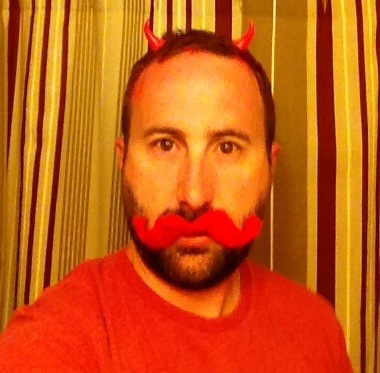 Got up and dressed this morning in costume to run with my inner devil, complete with horns, red hair, and an appropriately numbered bib. Then I went outside not realizing it was raining. Since I was up and ready, I decided a morning rain run was appropriate. I had laid out a basic loop through Lindley Park and Sunset Hills and started out. The first mile or so was relatively dry with no problems. However, about 2 miles in, the bottom decided to fall. My costume fell to pieces. My paper bib disintegrated while my horns slid out and my red hair decided to run down my face and back. I ran the remaining miles in perfect misery (not really) throughout the neighborhood. The course was a bit hilly, but not too bad. Will run most of it again sometime in the future. I got home after running 6.66 miles in honor of National Running Day on 6/6 finishing in about 65 minutes (so close to 66 minutes). I posted the picture below to the 12athon page and later received my 7.66 points for the run today. Will say that running before working both jobs is a plus to running after. All in all, a great two days running even though I missed running with the WHC downtown. But there’s always next time! An early start to a good day. We meet up at PTI airport for the Blue Points 5K on the Runway at PTI. It included several members of the Woo Hoo Crew in addition to runners from all over and all ages. The weather couldn’t have been better. It was a balmy morning with cloudy to clear skies, so a perfect temperature for a morning run on the runway. Melanie W., Melanie J. and I warmed up with a slow mile before the start of the race. Ralph, Carole, Jordan, and Russell were also there to run. 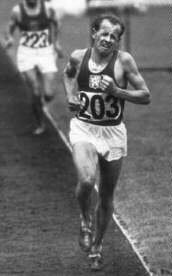 All of us had good runs (at least far as I know) with a few personal records (PRs) thrown in. I finally beat my PR from years ago to finish at 23:12 which is a great start to my summer. We took a team picture for the race and I can’t wait to see the plaque we’re receiving later on. After the race, Melanie, Melanie and I drove over to Bald Eagle Trail to run 3.2 or more miles on the Trials in honor of the 12athon Trails Days challenge. Took it easy as a cool down and stretch run after our race. We ran in our bibs from the race which elicited a few interesting looks from other runners on the trail. We decided to call our trail run the AnyWoo Trail Run in honor of the event and the fact that we ran on a random trail. 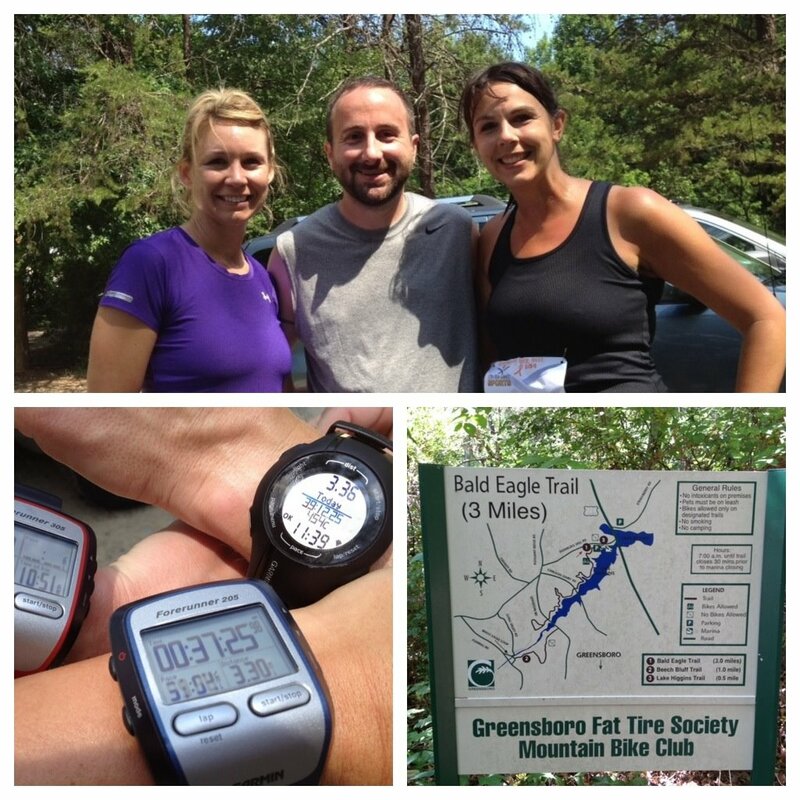 After posting, we got our 4.2 points for running trails for the 12athon Virtual Challenge. All in all, it was a great morning of running with great friends. Thanks again to the Crew for an AWESOME time.